Animated STAR TREK - "The Lorelei Signal"
Investigating a sector of space where starships have disappeared every 27 years, the U.S.S. Enterprise finds a race of beautiful women who survive by drawing the energy from the male members of the ships that they have lured to their planet. PSA epilogue for "The Lorelei Signal"
This episode's author, Margaret Armen also wrote another Animated STAR TREK episode "The Ambergris Element". She also wrote script's for the original STAR TREK episodes "The Gamesters of Triskelion", "The Paradise Syndrome" and "The Cloud Minders." 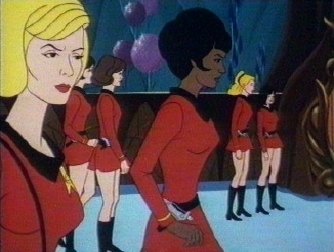 In this episode Uhura assumed command of the ship when all the men aboard the Enterprise become distracted by the telepathic signal sent by the women of Taurus II. In her 1994 autobiography, "Beyond Uhura - STAR TREK and Other Memories", Nichelle Nichols states that she remembered the Animated STAR TREK series fondly and was particularly enamoured of this episode chiefly because in it Uhura had a large and important role. For some reason, Nichelle Nichols provided the voice for the U.S.S. Enterprise computer in this episode and in "The Infinite Vulcan." The voice of the Enterprise's computer in the Animated STAR TREK series was usually provided by Majel Barrett. Barrett also voiced the main computer in the original series, STAR TREK: The Next Generation, STAR TREK: Deep Space Nine and STAR TREK: Voyager. Lorelei was a Rhine River water nymph whose siren song drew sailors to crash upon the rocks from the story "Lore Lay" written by Klemens Brentano, which was later turned into a poem by Heinrich Heine. 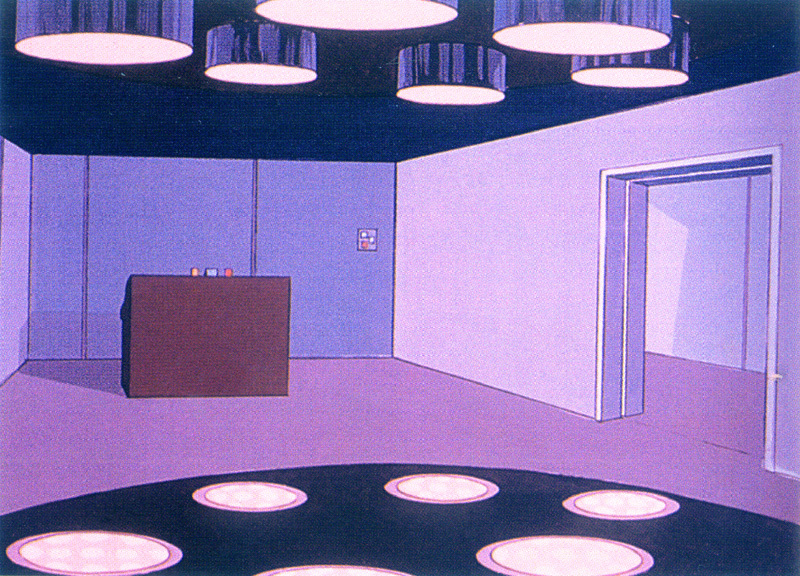 Although she was seen in "Beyond the Farthest Star" this was the first animated episode in which Nurse Christine Chapel had dialogue. While under the influence of the Lorelei women's probe signal, Chief Engineer Montgomery Scott shows his Scottish origins when he sings a romantic Scottish song while sitting in the bridge command chair. No wonder Uhura relieved him of duty! Gene Roddenberry's original pitch for the Star Trek series, entitled "STAR TREK is...", dated March 16, 1964, featured an episode idea "The Venus Planet" with the following description: "The crew discover a planet of women. The men become increasingly attracted to the women, and almost too late do they realize that there are no more men on the planet." This is essentially the synopsis of "The Lorelei Signal." This episode dealt with a female-dominated society. Gene Roddenberry revisited this idea in "Planet Earth" an unsold pilot film which first aired on Apr. 23, 1974. 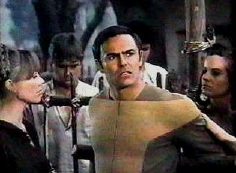 In the story, PAX Team 21, lead by Dylan Hunt (played by John Saxon pictured right), heads out to locate a missing doctor, Jonathan Connor, who is the only surgeon who can perform the delicate heart surgery. Their search leads the team to the Confederacy of Ruth, a society of latter-day Amazons, where women are dominant and men are enslaved. A woman in the PAX group, Harper Smythe, binds Hunt and enters the city. Once there she meets Marg (Diana Muldaur pictured left), the leader of the women, who claims Dylan as her own property. 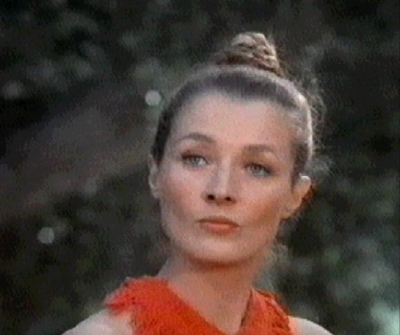 Diana Muldaur had appeared twice on the original series and was a regular in the second season of STAR TREK: The Next Generation. The idea of a female-dominated society was later seen in the January 1988 STAR TREK: The Next Generation episode "Angel One." 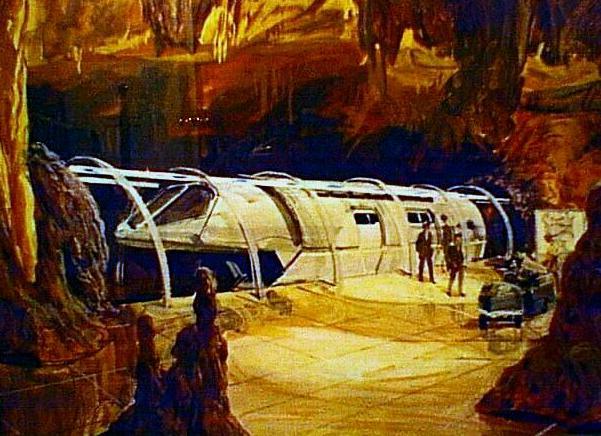 The mode of long-range transportation used by PAX teams was the subshuttle seen in the production art at right. "Planet Earth" was a second attempt at the PAX series, the first being the less action-oriented "Genesis II" (1973) starring Alex Cord. Television producer and scriptwriter Robert Hewitt Wolfe, a former staff writer on STAR TREK: Deep Space Nine, used the name Dylan Hunt and many ideas from Gene Roddenberry's "Genesis II" notes to create the highly successful Andromeda (2000-2005) television series which starred Kevin Sorbo. The planet Taurus II was the same planet that the Galileo Shuttlecraft crashed landed on in the original series episode "The Galileo Seven." The transporter saves the day in this episode. Contrary to common belief, in no STAR TREK episode or movie did Captain Kirk ever say, "Beam me up, Scotty." 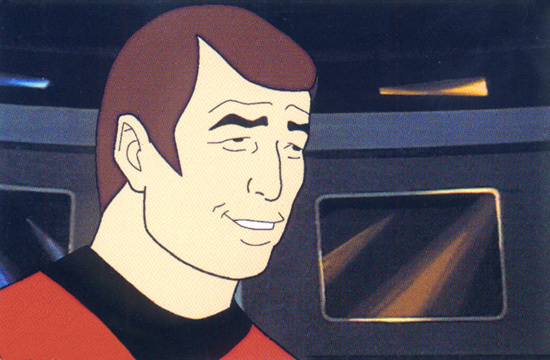 However, in two animated episodes, this one and "The Infinite Vulcan," he came close when he said, "Kirk to Enterprise. Beam us up, Scotty." There was a visual error in this episode: when Chapel beamed down to Taurus II, she was wearing a red uniform instead of her normal blue medical uniform. This idea of a race of females luring males to their planet for a nefarious purpose, was used again in the March 1997 STAR TREK: Voyager episode "Favorite Son". "The Lorelei Signal" was novelized by Alan Dean Foster in Star Trek Log Two published by Ballantine Books in September 1974. Also novelized in the book was "The Infinite Vulcan" and "The Survivor".